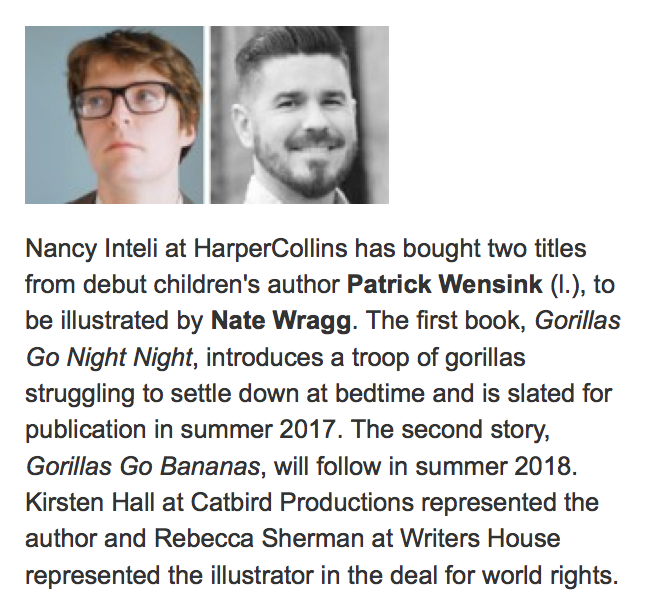 Gorillas are Coming in 2017! It’s in the trade magazines, which makes it official now. HarperCollins will be putting out my first kid’s book in 2017. Check out Nate’s insanely cool non-gorilla illustrations here.